The mission of the Architectural League is to advance the art of architecture. 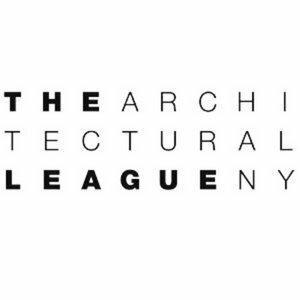 The League carries out its mission by promoting excellence and innovation, and by fostering community and discussion in an independent forum for creative and intellectual work in architecture, urbanism and related disciplines. We present the work and ideas of the world’s most interesting and influential architects and designers to New York, national and international audiences, through lectures, exhibitions, publication, and the worldwide web. We identify and encourage talented young architects, through competitions, grants, exhibitions and publications. And we help shape the future of our built environment by stimulating debate and provoking design thinking about the critical issues of our time.